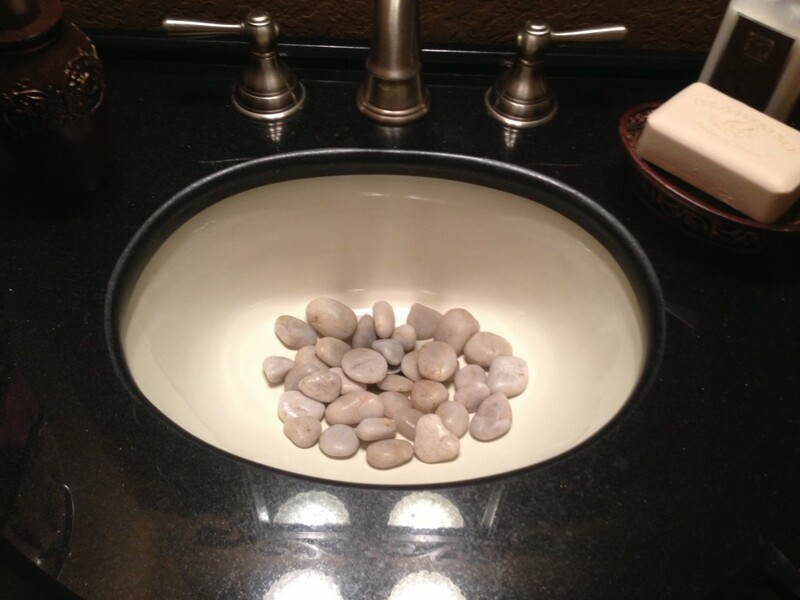 What Does it Mean to Have Pebbles in the Guest Bathroom? 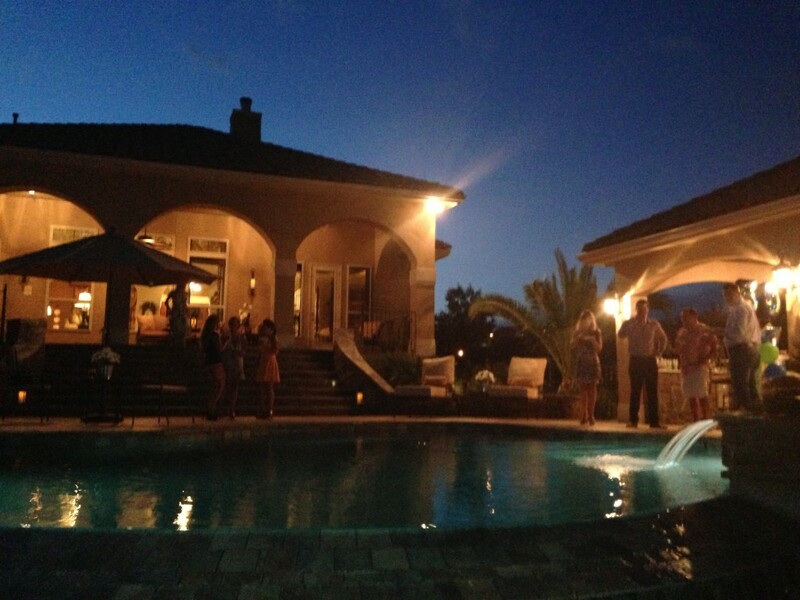 This past weekend I was invited to a surprise birthday party for a friend who was turning the Big 5-0. The plan was to have the event at a mutual friend’s home, which would allow everyone to arrive and await Carlos and his wife to enter the home. As it turns out, though, the plan fell through because the birthday boy arrived a few minutes before the scheduled start of 8 p.m., and several of the guests were a few minutes late. Suffice it to say that the meaning of surprise took on several meanings this evening. I was informed that the house we were going to visit was super-expensive. When I entered the home, I could hardly disagree. While not a custom home, one could tell the owners had made major investments in both the interior and exterior. From the living room area, I could see the lavish swimming pool with the decorative waterfalls. At one side of the pool, a cabana was added (see picture). This was not a typical cabana that one might find at beach resort. This one was loaded with a gas grill, refrigerator, sink, and even a flat-screen television powered by DirecTV. The owner, Mark, even purchased an acre behind his lot. Why? He is planning to convert that area into a private golf driving range. As I stood next to him, he explained how he plans to tee off from his back yard and the destination of the balls is the future driving range. Creative stuff! Mark’s hospitality was superb. He gave me more than 10 choices of drinks I could have, ranging from Sangria to vodka. He also recommended a 23-year-old rum from Guatemala. I decided to have this Central American liquor with Coke Zero. The rum was so smooth that I had to be careful not to overdrink. After one drink, I decided to take a little break, and asked where I could find the guest bathroom. I was directed inside the spacious home, and told to make a left past the kitchen. Given the size of the house, I was surprised they hadn’t developed an app that could guide me in the right direction. I found the guest bathroom, and took a quick glance at the sink (see picture). I noticed pebbles in the sink, and wondered what they signified. I was born in a small South Texas town, and the only pebbles I remember were near the Nueces River. All kidding aside, I did ponder their significance. Do the pebbles signify that someone has wealth? Does it connote that these folks pay close attention to detail? Do they give the bathroom an artistic touch? Interestingly, I hesitated turning the water on to wash my hands. Was this appropriate on my part? Could I possibly discolor some of the pebbles? The party was a hit! A little rain shower came through, but no one was discouraged. While I left early, I heard the partygoers remained until nearly 4 a.m. When I awoke on Sunday, I wondered what happened to the pebbles? Were they removed and stored until the next party? I’m just not sure how that process works!